Autumn shadows grow long. Skeletons peek through house windows. Scary costumes fill store aisles. But what about that other part of Halloween—the one that claims this is All Hallows’ Eve? Any Church calendar notes that Halloween falls just before All Saints’ Day, but how do holy and creepy go together? 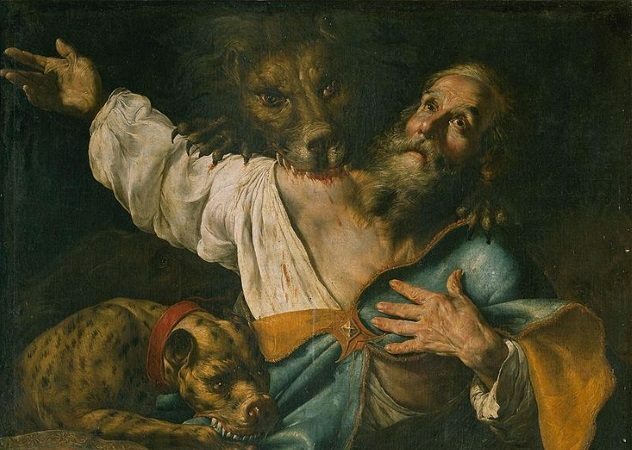 This list will look at saints who met horror with heroic courage. Here are ten saints fit for a Halloween celebration. Herod later threw a party. He promised his daughter anything she wished if only she’d perform a dance for his guests. She danced, but the wish was actually her mother’s. 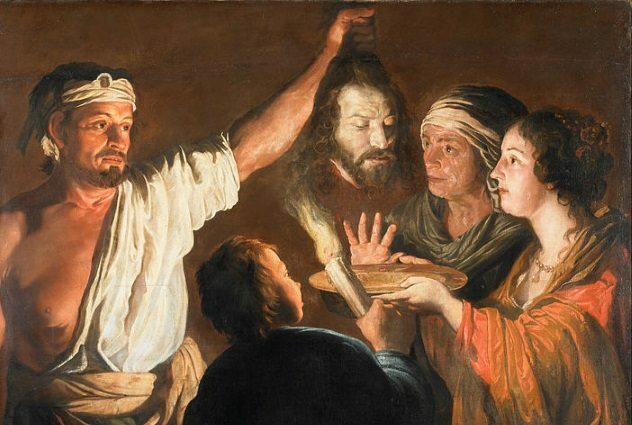 Herod’s wife had her daughter ask for John’s head on a silver platter. The request was granted. It’s strange to think that the severed head looked any less terrible on a shiny serving dish. Apparently, all prizes demand good presentation. Staying with the kitchen theme, we’ll discuss the patron of cooks, St. Lawrence. This early Christian deacon sold much of his church’s gold vessels and other riches. Money from the sales meant more donations for the poor. A prefect of Rome told Lawrence to hand over the church treasures, and Lawrence agreed. He asked for three days to do so. On the third day, Lawrence presented a crowd of people. But where were the riches? The prefect saw only beggars and orphans. He disliked Lawrence’s play on words and sentenced him to roast on a large grill. It is said that Lawrence’s heart burned hotter than the fire beneath him. This explains his cheerful shout, “Turn me over! 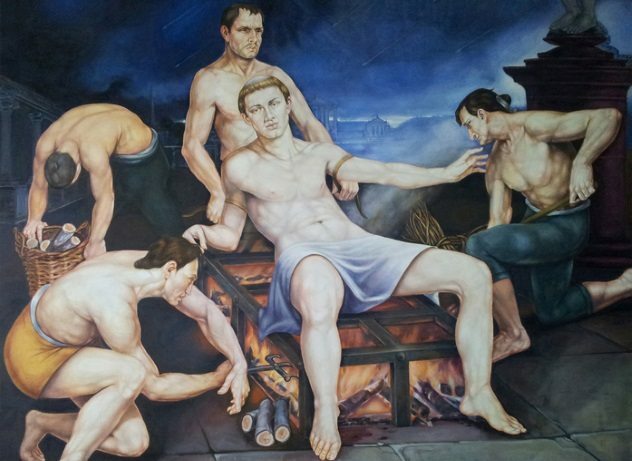 I’m done on this side!” Is it surprising that St. Lawrence is also the patron of comedians? But really . . . who would deny a man’s dying wish to be evenly cooked? When it comes to strange requests, think St. Rita of Cascia, the patroness of impossible cases. Rita prayed her sons wouldn’t ruin their souls with deadly sin. She worried because in the Middle Ages, sons were expected to avenge wrongs done to their family. Rita’s husband had just been killed in a family feud. Would her sons kill the killers? Rita prayed against violence. Within days, both sons fell ill and died. Rita was alone, yet her prayer had been answered. She felt sure her sons had earned Heaven. Rita followed her dream to become a nun. She became deeply aware of Christ’s suffering and prayed to share in His pain and so share in His saving of souls. At once, a thorn from the crucifix before her struck her forehead. Again, God had answered her prayer! This thorn wound remained open for many years until she died. 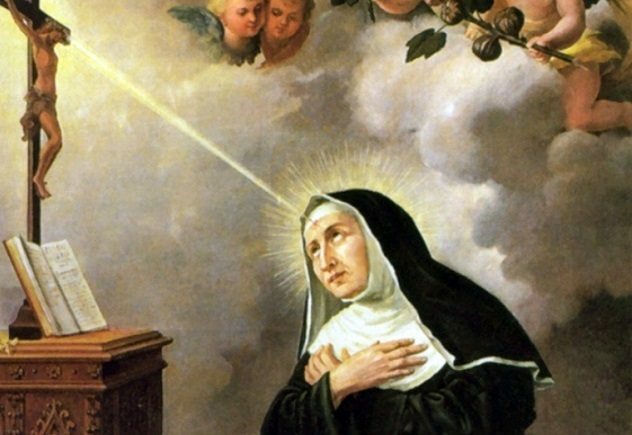 St. Rita is a good example of the power of prayer—and to be careful what you ask for! Staying with headstrong ladies, we come to St. Lucy. Her father, a Christian, had died. Lucy ended up being promised in marriage to a pagan Roman noble. Lucy, however, had secretly vowed herself to Christ, so she asked her mother to give her dowry to the poor. Her mother refused. 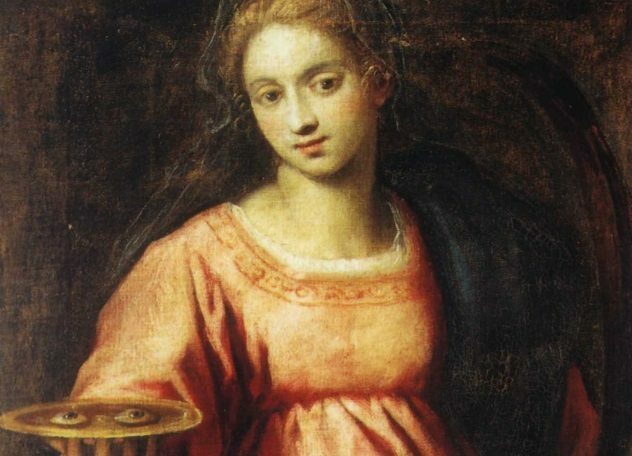 Lucy prayed for her mother’s charity and for her bleeding wounds to be cured. A miraculous healing occurred, and Lucy’s joyous mother gave the dowry to the poor. Was the groom just as thrilled? Not exactly. When he heard the wedding was off, he reported Lucy’s Christianity. The local governor demanded she reject her faith. She refused, and he poked out Lucy’s eyes. Thus, she is often shown holding a dish with eyes. As if that weren’t creepy enough, legend says Lucy’s eyes were miraculously restored! What sight might she have seen after her cure? St. Pio was known as a living martyr. 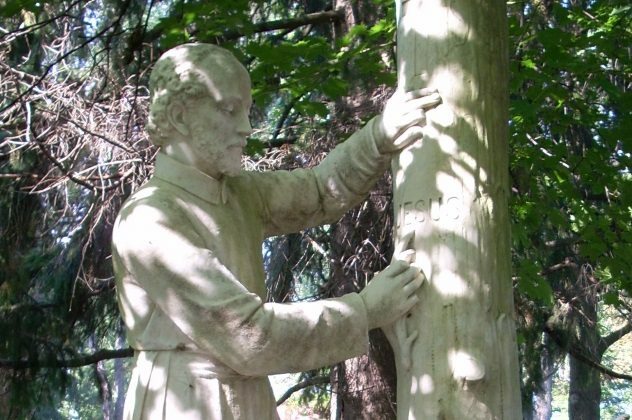 In 1918, this Franciscan friar received the mystical wounds of Christ. He bled from his hands, side, and feet. How did he bleed day and night and stay alive? Were these wounds for real? Religious superiors restricted Padre Pio from serving in public. He could not even offer Mass. 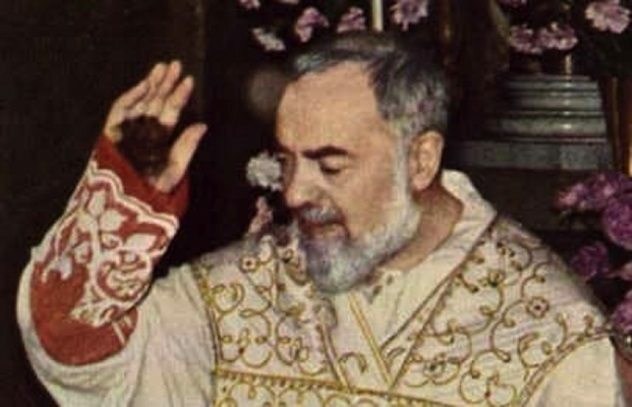 Padre Pio’s holiness brought much fame, which caused more trouble. He often said, “I only want to be a poor friar who prays.” Pio prayed his wounds would be hidden so that people would no longer praise or doubt him. Still, he bore the bleeding Christ-like wounds for 50 years! They closed just before his death. 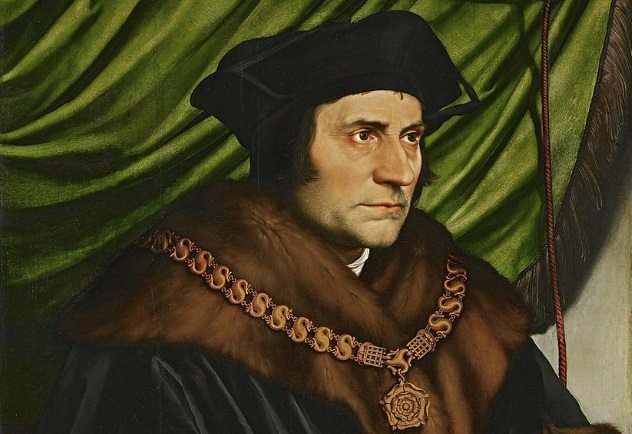 St. Thomas More readily lost his head, yet he preserved his beard. The lawyer refused to accept King Henry VIII as the head of the Church of England. Henry claimed this role to avoid Catholic Church laws against divorce. His wife bore only daughters, so he had no royal heir. The solution? Marry another woman who might bear a son! As a father, Sir Thomas More understood the king’s frustration, but as a lawyer, he saw the dangers of changing laws for personal reasons. More honored marriage as sacred and unchangeable, even for a king. So King Henry charged More with treason and then sent him to the chopping block at London Tower Hill. Sir More declared, “I die the king’s good servant, and God’s first.” That was his last public statement. However, there is a final line More said while bending over the chopping block. He pulled aside his beard (which had presumably grown while he was imprisoned) and explained, “Pity that should be cut. That hath not committed treason.” The man could offer his life for his beliefs. But giving up his handsome beard proved too frightening. This stubbornness confused the proconsul. He shouted that he would bring beasts. Polycarp did not swear. He said he would light fires. Polycarp kept silent. He ordered the guards to bring the stake and straw and burn Polycarp alive. Polycarp asked God to accept him upon his death. 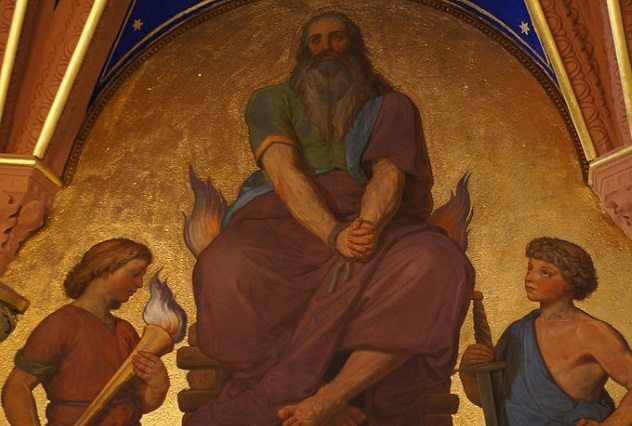 Soldiers prepared to nail him down so he wouldn’t flee the flames, but Polycarp told them they need not worry; God would help him through death as He had helped him through life. And so Polycarp stood in the arena, tied to the burning stake. It is said that when the fire was lit, Polycarp would not burn. After a while, the executioner was told to stab Polycarp with a sword, which only led to his blood extinguishing the fire. The fire was relit, and Polycarp’s body finally burned. Talk about attitude. This tough guy is regularly depicted eyeing Heaven while being chomped by lions. Now that’s fearsome! Getting devoured by lions is gruesome. Being eaten alive by leprosy might be worse. In 1864, Damien (born Jozef De Veuster) asked his bishop to send him to Molokai Island. Was this Belgian missionary asking for a vacation? No. He wanted to help the lepers sent there. The Hawaiians had sent them away to keep the flesh-eating disease from spreading. The bishop agreed. Fr. 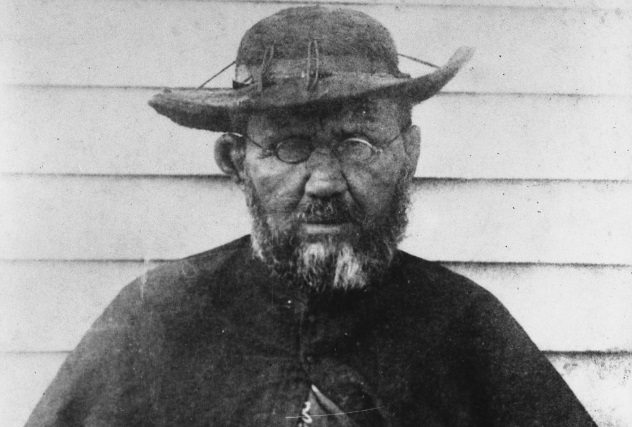 Damien served the Molokai lepers for 16 years. Sure enough, he, too, got leprosy. His statue stands in the National Statuary Hall Collection in Washington, DC. The figure shows leprosy scars on his face and right arm. This statue honors Fr. Damien’s service amid the horrific. None top St. Isaac Jogues when facing horrendous fates. This missionary was taken captive in North America, narrowly escaped, and decided to return. Had he forgotten the fearsome Mohawks? How they beat him and his friends with sticks and knives? How could he forget? He had two fingers missing; the Mohawks chewed them off. All this happened because they disliked Christianity as well as the fact that Fr. Jogues had taught the Hurons, their enemies. The Mohawks called Jogues “The Unconquerable One.” His spirit could not be crushed. Incredibly, Fr. Jogues left safety for a peace talk. He spoke for the French to the Iroquois Confederacy, which included his tormentors. He succeeded in reaching peace and forgave the Mohawks. More importantly, he made peace between the French and the Native Americans. Unfortunately, the peace didn’t last long. A few natural disasters struck. Sickness spread. Caterpillars ate crops, and terrible hunger came over the people. The Mohawks blamed Fr. Jogues for their hardships. He knew this. Still, he went to the chief’s cabin when invited. The chief greeted Fr. Jogues with a deadly tomahawk. Saint stories are told so that we can hold fast to the things important to us. These men and women faced sickness, pain, and death with fierce courage—so much that it’s scary. They faced awful things but kept their hearts fixed on their faith instead of their fears. We could honor them year round. We may remember them best on Halloween. Read more trivia about saints on 10 Crazy Things Patron Saints Can Protect You From and 10 Strange Legends And Images Of Saints.